Viknesh Vijayenthiran February 12, 2016 Comment Now! Previewed in concept form almost three years ago, Kia’s first dedicated hybrid, the Niro, has finally been revealed. 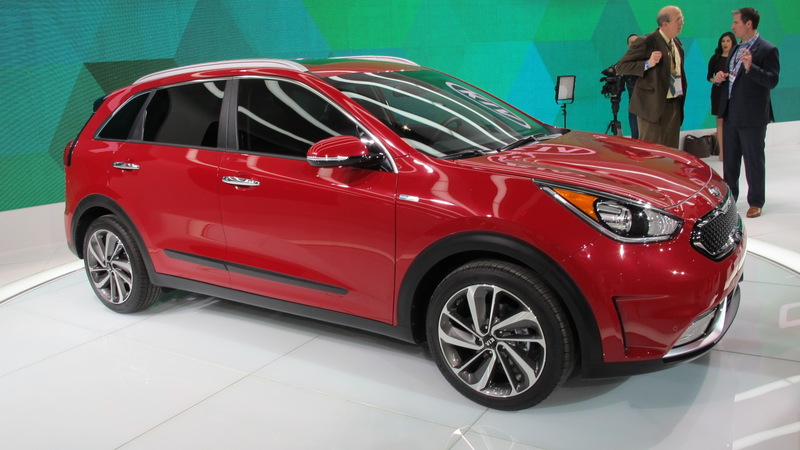 It’s a compact crossover that isn’t related to any other model in Kia’s lineup. In fact, it’s said to have a dedicated platform. 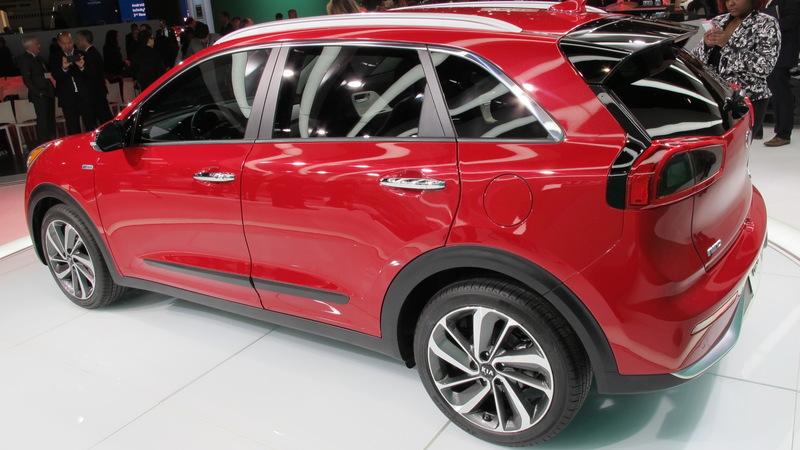 The Niro is set to go on sale later this year, as a 2017 model, and Kia is promising owners can expect combined fuel economy of up to 50 mpg. That’s thanks in part to lightweight construction. There’s plenty of advanced materials such as high-strength steels, hot-stamped components and the latest in industrial joint adhesives. Of course, there’s also the hybrid powertrain. The internal combustion component is a 1.6-liter four-cylinder engine running the Atkinson Cycle. It works together with an electric motor integrated with the transmission, in this case a six-speed dual-clutch unit. Peak output of the system is 146 horsepower and 195 pound-feet of torque. The battery is a 1.56-kilowatt-hour lithium-ion polymer. A similar setup will appear in the dedicated hybrid from sister brand Hyundai, the 2017 Ioniq. With its crossover proportions, the Niro boasts an elevated seating position. The cabin has a clean, modern look and benefits from some impressive technology not normally found in the class. The list includes a 7.0-inch touchscreen display with Kia’s UVO infotainment system; Apple CarPlay and Android Auto smartphone integration; and electronic driver aids such as blind spot warning, rear cross traffic alert, adaptive cruise control and automatic emergency braking. 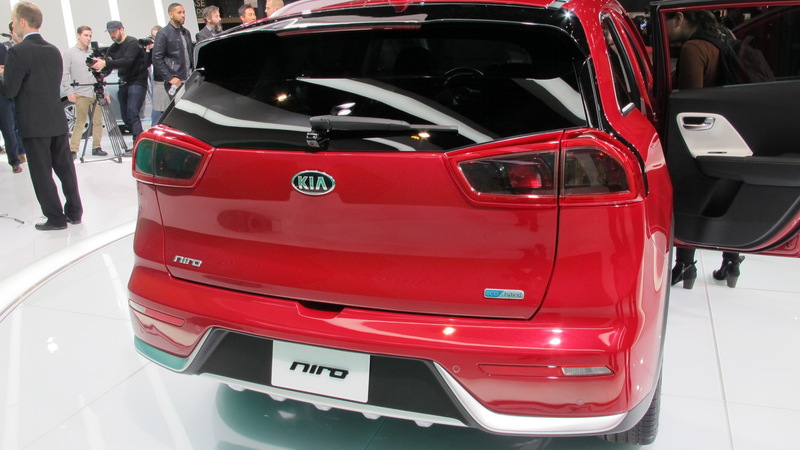 As mentioned, the Niro is due to go on sale later in the year. 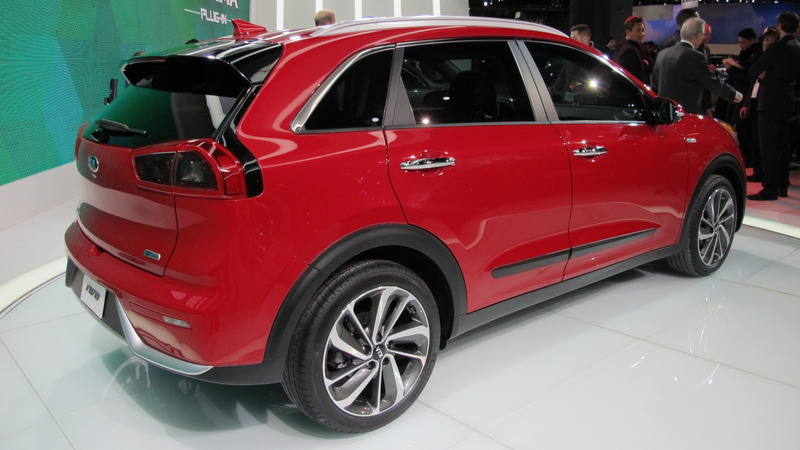 Kia has confirmed that a plug-in hybrid option will be offered later in the car’s life cycle. 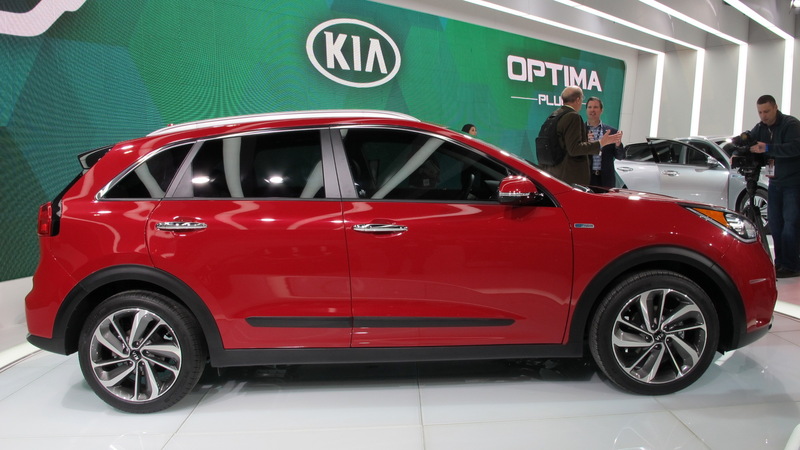 The Niro is on show this week at the 2016 Chicago Auto Show. To see some of the other vehicles appearing, head to our dedicated hub.